Items with limited availability. Buy now or miss out! LIMITED AVAILABILITY There are 39 products. BBJUL13 - Bargain blues, July mix special. This is a new feature on the website. See full description for contents. 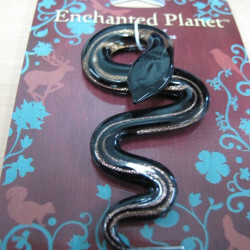 LA0005 - Black glass snake pendant. 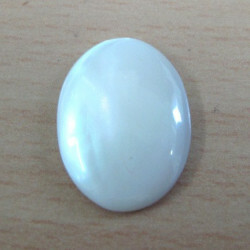 LA20 - Mother of Pearl cabochon. 18 x 13 mm. 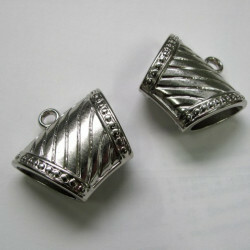 These are great quality, a lovely shine. BP0001 - Large Scarf Bails. Pack of 2. These are acrylic, but you really can't tell by looking at them! Size approx. 37 x 33mm. 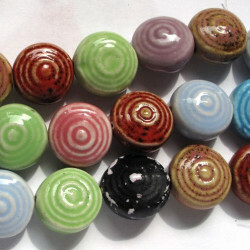 LA78 - Porcelain disc beads. String of 10. 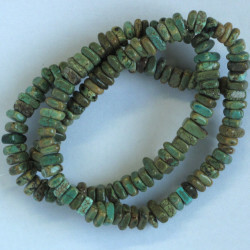 These are an unusual bead, size approx 20mm diameter. 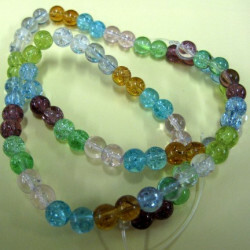 A string is approx a bracelet length. 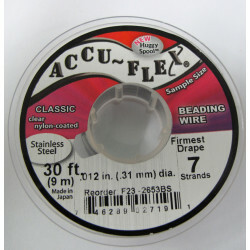 LA59 - Accuflex 30ft, 7 strand, 0.012". A quality thread in from the tiger tail style of threads. Rainbow Amethyst Drops, Pack of 2. 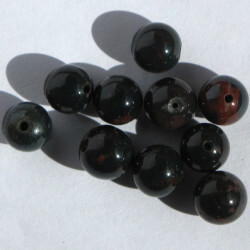 8mm Blood Jasper Beads. 10 per Pack. Dyed magnesite, heishi beads, green. Dyed Magnesite, Heishi Beads, Green. Strand Approx. 42cm (16 inch) Long. 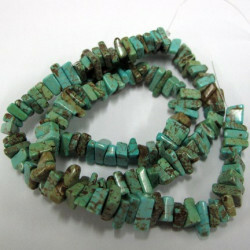 LA73 - Magnesite chip beads. 15 inch strand. 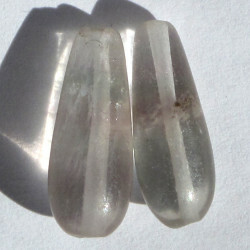 Bead size approx 6mm. Nice quality chips with good definition. 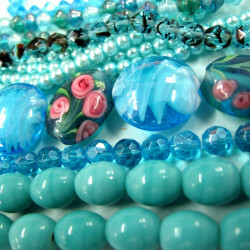 Heishi shell beads, natural colours. 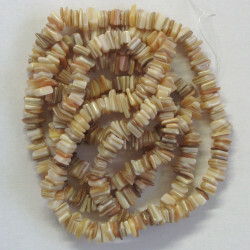 Heishi Shell Beads, Natural Colours, 34 inch Strand (Approx. 86 cm).